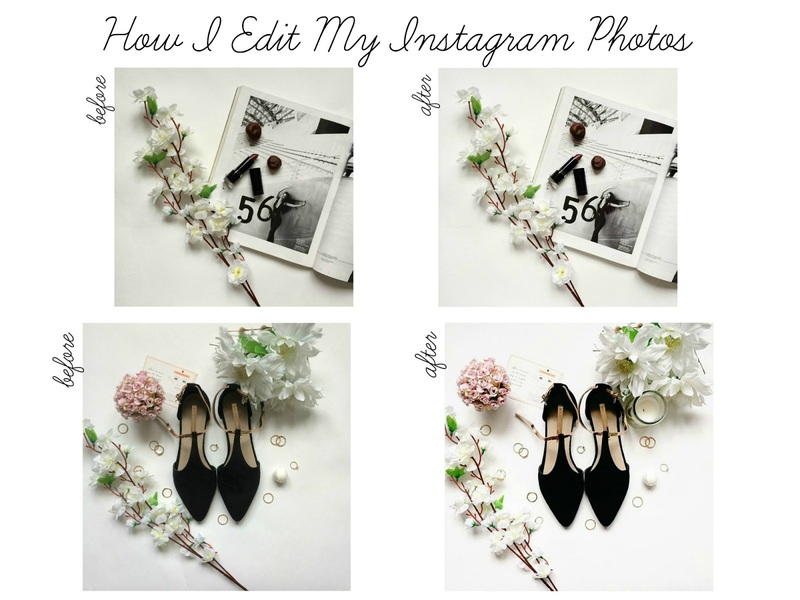 If you're as addicted to instagram as I am, you probably would find this post quite helpful. I'd been seeing quite a lot of articles on how people edit their instagram shots, and I actually have been able to find a couple new apps for myself. Today I wanna share with you what I typically do with my photos and what apps I use on a regular basis. Ok, let's start with my editing process. I'm not a big fan of filters and I honestly thing that everyone is already kind of over them. What I always do to my photographs is adjust the contrast, add some brightness, highlights sharpness and, maybe, lower the shadows. Of course, it all depends on the pic I'm editing, you gotta see what you're working with and what should be done in this or that case. If there's a white background(let's say it's a flatlay), I try to make the white as pure and bright as possible! So, I'd add quite a lot of brightness and highlights, and also use an app to brighten up specific areas of the photo (later on that one). VSCO: My go-to for a quick editing. I normally only use it to adjust the main settings. A really great thing you can do in Vsco Cam is straighten horizons in landscape photos. Snapseed: This is my absolute favorite app and it's probably the most detailed one. You can adjust everything, from shadows and highlights to contrast and saturation, plus you can get really detailed and brighten/darken specific places on the photo. And you can erase spots (great for any weaird things in the background and your skin). Fotor: This is the best app if you want to use a filter, and honestly the only app where I actually like the filters. You get a huge variety of free ones to choose from and you can adjust the intensity of a filter. I also like their enhance future, it works really well with most of the pictures. Aillis: And the last one I sometimes turn to is Aillis. I don't use it that often, but if I feel like it, I sometimes give it go. This is basically the app for selfies. You can flip the photo, erase any blemishes and smooth out the skin. That's what I use it for, but if you wanna go all out with the editing, it also offers to slim your face, enlarge your eyes and even reshape the form of your nose. Although, I'd have been careful with all that. I'd love to know about your favorite apps, leave them down below! And also, let me know if you want me to do a post on how I shoot my instagram photos.